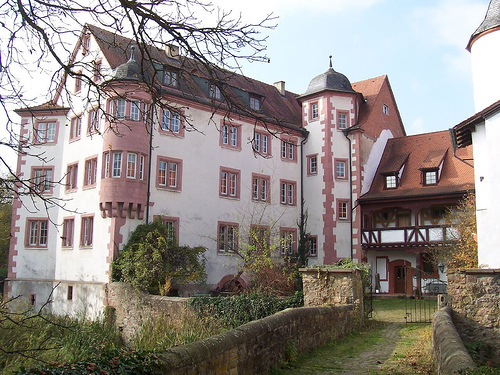 The tenth Villa Diodati Expat Writers Workshop saw John Olsen and Ruth Nestvold back at Schloss Lohrbach in southern Germany, where the very first workshop was held exactly ten years ago. Joining Ruth and John was Benjamin Rosenbaum, who originally conceived the idea with Ruth way back when, returning to the workshop after a longish absence. Christian Walter, Floris Kleijne, Jeff Spock, Grayson Bray Morris, and Marion Engelke completed this edition’s group. several Hugo and Nebula nominations and wins. 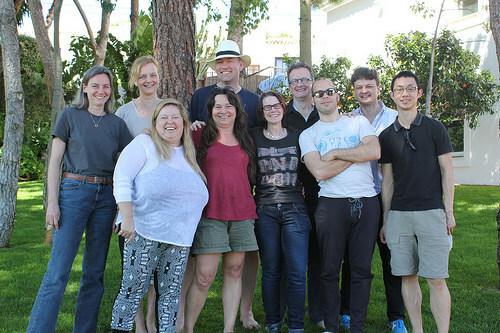 Fortunately, some things have not changed in those ten years: we still eat very well (some 90 lovely meals shared), we still play a range of serious, silly, and hilarious games; and we still immerse ourselves in the joy of time spent with kindred souls, other writers, fellow geeks; with our tribe. Here’s to another ten years and twenty workshops! This entry was posted in Blog entry, Public content on October 18, 2017 by Floris Kleijne. Olé For The Villa Diodati Workshop! 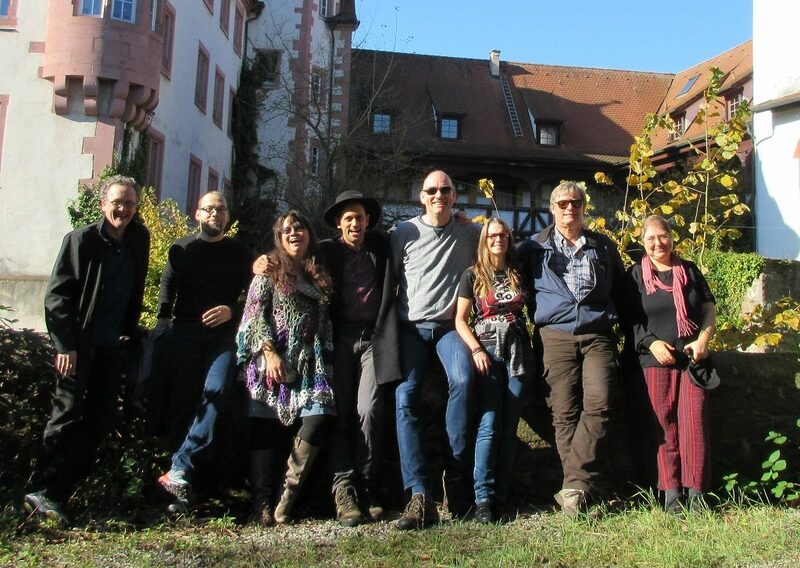 Left to right: Frances, Bo, Sylvia, Ruth, Floris, Grayson, Jeff, Christian, Stephen, and Jeremy. This entry was posted in Blog entry, Public content on April 25, 2015 by Floris Kleijne. Another workshop was inflicted on five of our members this May, killing many of their brain cells, and reaffirming their desire to write, write, and then write some more. Oh, and they also consulted an Oracle. Read more about this strange occurence here. This entry was posted in Blog entry, Public content on May 14, 2014 by Floris Kleijne. 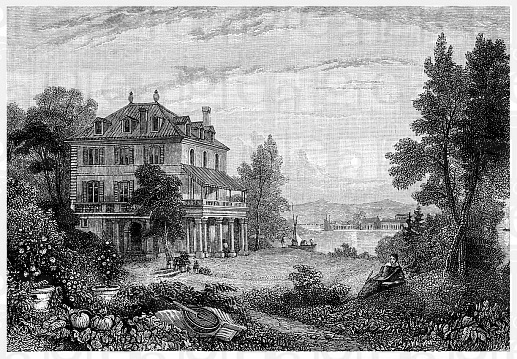 Welcome to the new website for the Villa Diodati Expat Writers Workshop! This website is still somewhat under construction. Read about the group here, or contact the group for more information. This entry was posted in Blog entry on February 20, 2014 by Floris Kleijne.